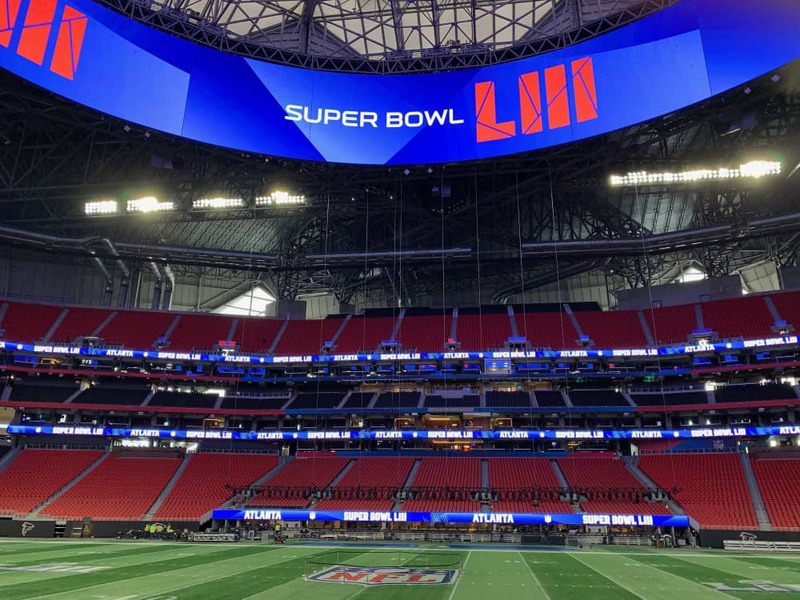 Less than one week away from Super Bowl LIII and the side and total price on the game is essentially unchanged from Friday. The consensus pointspread for the matchup between the Los Angeles Rams and New England Patriots is -2.5 though there are a few books showing -3 or -2. The total has drifted downward since the open but only incrementally. The consensus is 56.5 with a few stores at 57 or 56. It’s worth noting that the significant movement on the game (if any) will come in the last 48 hours of betting. This is when most recreational players get down and when sharp money follows suit. Movement on the Super Bowl simply isn’t what it used to be. In the past, there was great significance given to the early move on the game after the Super Bowl line was posted on Sunday night following the conference championship. In most years, there was an almost circadian rhythm to the betting process with an excited public quickly taking a position and professional handicappers following suit 48 to 72 hours later. Today, however, that dynamic no longer applies. There’s a number of reasons for this change. One major factor is the advent of live betting and the proliferation of prop bets. Many professional bettors eschew the side and total entirely and focus on a few statistically advantageous props or look to take positions ‘in game’. A more diverse odds marketplace is also a factor. Until the explosion of the online betting market, a few Las Vegas sportsbooks set the tone for the ‘independent operators’ around the country. A smaller betting market with fewer ‘outs’ made the movement more predictable. That is no longer the case since betting is offered from Hong Kong to London and in a growing number of US states other than Nevada. There was a brief flurry of activity on the side after the end of last Sunday’s conference championship games. The Super Bowl pointspread opened with the Los Angeles Rams as a -1 point favorite. That price didn’t last long nor did the NFC Champion Rams status as favorite. A surge of action on the Patriots—almost certainly the most ‘public’ team in the NFL—quickly pushed New England to the ‘minus’ side of the ledger. The line got as high as New England -3 at some books after a bit of initial resistance around the 1.5 mark. By morning, the line had settled in with a consensus at New England -2 or -2.5. There were prices as high as Pats -3 or as low as Pats -1.5 but these were outliers in the market. Although there has been little of the anticipated movement between 1 and 3 the outcome is the same—New England is a solid -2.5 favorite all across the board. There’s less line disparity now with fewer books differing from the -2.5 consensus though there is a -2 or -3 here and there. The total has seen far less action perhaps due to a lack of familiarity with the linesmaking process here by the general public. The conventional wisdom suggests that the public will bet the favorite and the Over (once again, the conventional wisdom is changing with the sports betting marketplace) but after the game opened with the highest total in Super Bowl history (58) it’s sunk down to a consensus 56.5 after spending a few days at 57.5. What’s curious is that there hasn’t been a stronger move toward the ‘Under’. Although the ‘Over’ has cashed in five of the last six Super Bowl games it’s a tough thing to make a statistical case for at this high price. Betting on the total should heat up later in the week but for now there’s little interest in ‘Over’ or ‘Under’ from any segment of the betting market.